More than anything I felt that these essays could help bring renewal to the church—not through offering some specific technique or glitzy program but instead challenging all the agendas, other than law and gospel. These other agendas beguile Christians and sedate them into sugar coating the gospel as either a spiritual self-improvement program or a social-gospel agenda. 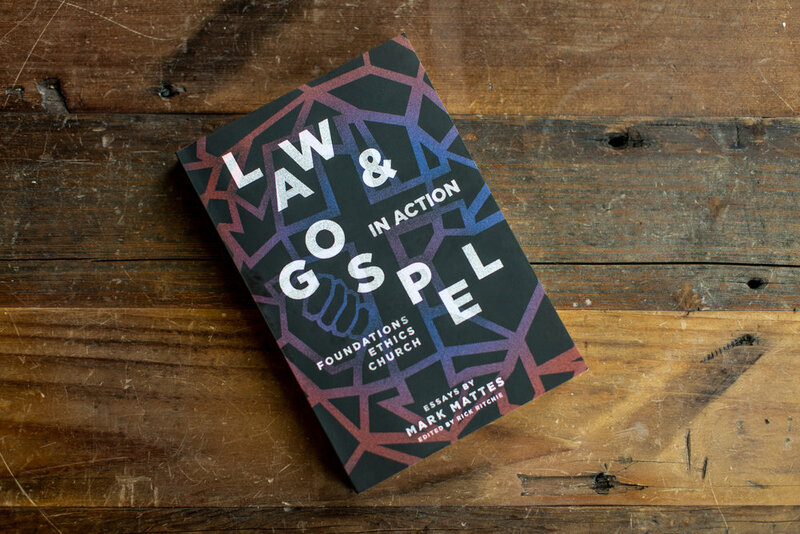 My prayer and hope is that this book will empower Christians who affirm Law and Gospel. 2. Early in the Foreword, Dr. John Pless reminds us of Gerhard Forde’s words, “Theology is for proclamation?” What does he mean by this? In a word, it means that Forde sought to ground theology in the Gospel. Throughout his career, Forde saw theologians ceding turf to various secular agendas, whether through “process theology” or “liberation theology,” all to uphold human agency, the drive to claim independence (free will) with respect to God. Forde knew that the only way to truly liberate our will is to proclaim Jesus Christ to us as God’s unconditional address that chooses sinners. Only by securing sinners in Christ can they be restored to trust in God which makes them fully human. My work is deeply indebted to how Forde highlighted theology’s purpose, which is not to redesign God to make Him palatable to sinners but instead to free sinners from God’s wrath by securing them in God’s promise. 3. You mentioned in your introduction that you’re seeking the renewal of Confessional Lutheranism. Can you comment on the current state of Confessional Lutheranism, as well as why you want to renew it through this work? A confessional approach to Lutheran theology is less concerned with ecumenical rapprochement with other Christian traditions and more concerned with claiming Lutheran distinctives for outreach. A confessional identity is all but lost in the ELCA while the LCMS all too often narrowly idolizes its heritage. A confessional approach to Lutheran theology especially heightens the distinction between Law and Gospel as the chief work of pastors both in care and preaching. It preaches God’s accusation of humanity’s unfaithfulness so that no sinners can justify themselves and all must give themselves over into the care of a loving Christ who refuses to let go of any sinner—no matter how bad. 4. You also talk about how, especially as Americans, we focus on the individual first, then the community. But you point out that we are by nature communal creatures. Can you discuss how this point of view impacts our understanding of Law and Gospel? The British philosopher who influenced so many of our founding fathers, John Locke, affirmed that we are all individual owners of our selves. No matter how valuable our governing documents are, Locke’s position flies in the face of St Paul: “You are not your own; you have been bought with a price.” The entrenched individualism stemming from Locke and so vaulted in the current educational, psychological, and economic milieu leads to a deeply unhappy humanity. We are primarily creatures who belong to God and then to one another.“It is not good that the man be alone” (Gen. 2:18). The Gospel restores us to our true humanity, embeds us in the body of Christ, feeds us with Christ’s own body, and offers us a community where “conversation and consolation” edify. 5. You mentioned that “Law and Gospel are in action when we distinguish between a Theology of the Cross and a Theology of Glory…” You also mention that the Theology of the Cross today is often misunderstood as solidarity with victims. Can you elaborate on this idea? For many Evangelicals, the Gospel goes something like this: “God loves you and has a wonderful plan for your life.” In essence, they allow the old Adam to remain in charge. In truth, God loves you, but for that very reason refuses to allow you to be in charge of your life. To let go of that old ego, you will be crucified with Christ and undergo trial as He did so that your heart may be purified as you grow more and more to trust that He will walk you through—indeed raise—you from such devastation. Mainline Protestants, unlike Evangelicals, tend to distort the Gospel because they believe that, like Jesus, they too can feel the pain of victims and, in such solidarity, are justified. In other words, they use others’ afflictions to vindicate themselves, and affirm their worth through their ability to care. No doubt, caring for victims is a good thing, and a life of faith opens itself to this kind of love. But it is not the thing which justifies. Only Christ can do that. 6. You claim that we should focus on proclaiming the Law and Gospel to people right now, rather than hoping for or focusing on a utopian future. How does this look in action? As creatures in God’s creation, Christians should strive to make the world a better place, knowing that politically we all won’t necessarily see eye-to-eye about the specifics of how to do that. So, distinguishing Law and Gospel is no license for social passivity. But in such a pluralistic world, which seems to seek the protection of every voice except that of orthodox Christianity, we must not concede the world’s assertion that naming the name above all names is an act of hate. It is just the opposite. Sinners simply don’t want God’s mercy—no matter what. To seek God’s mercy is to admit failure in the project of self-centeredness and the quests for various utopias, as we see them. God will bring in the kingdom, bring in His future, as He sees fit. Christians should acknowledge that God accomplishes His will for this good earth on His schedule. 7. Your collection of sermons at the end of your book focus on Old Testament text. How important is it for us today to continue exploring and reading the Old Testament, knowing that Christ is present and promised throughout? Lots of young people are used to action in video games, TV, and movies. The Old Testament is full of action—a perfect fit. Some skeptics may balk at the miraculous element of the Old Testament, but those events simply reinforce that God is active—both to accuse us when we go astray and to validate us as men and women in Christ. The Old Testament is simply underutilized. But we should keep in mind Luther’s love for it. When I preach, I don’t run from the Old Testament lesson but often preach on it. 8. In what ways do Lutherans need to ‘break free’ from their current mold in order to get the Law and Gospel preached into the ears of more people? Are there currently any roadblocks in the way? Lutherans need to reaffirm that, in a world where Roman Catholics are numerically most popular and in a country with a strong reformed heritage in Puritanism, they have an insight into truth compromised by many Christians. Most Christians want some kind of visible display of the Gospel’s effect on their behavior. So they monitor their prayer and devotion and seek to evaluate their alleged quantitative and qualitative growth. Lutherans should be unafraid in acknowledging that we all need Jesus today and that we will need Him even more tomorrow. Our growth in our faith walk means not that we conform more to God by what we do, but instead that God in Christ claims more and more turf in our lives as we increasingly trust His ability to manage our lives. Thereby love for others becomes spontaneous and not contrived. 9. Is there any advice or thoughts you would share with the reader as they approach this collection? Engage with these essays. Don’t expect them to offer a quick fix for whatever problem besets your congregation. But, expect them to help you sort through how to think as a theologian of the cross and to expose theology of glory as fraudulent. Mark Mattes is associate professor of religion and philosophy at Grand View College in Des Moines, Iowa. He is the author of Martin Luther’s Theology of Beauty, The Role of Justification in Contemporary Theology, and Imaging the Journey.